Want a way to give to your center AND to PATH Intl. without spending any more money? PATH Intl. has found it in www.escrip.com. Register on this website and shop online with national merchants such as Best Buy, Amazon.com, iTunes, and more, earning 10% or more for PATH Intl. and up to two other charities (such as your center, a local school, etc.). Escrip also has a dining program, where you can dine out, and a percentage of the meal supports PATH Intl. If you have any questions about this program, please contact Megan Ream. We're counting down: 22 days to the PATH International Conference kick-off! At registration you will be given a wristband, which must be worn on your wrist. You will need to show your wristband to get into any event, session, meal and to get on the bus for the Horse Expo or enter the Mane Event Closing Reception. The wristband will be in your registration packet and must be put on when you check in. This policy will ensure that everyone who registered gets the full benefit of the conference. If you lose your wristband, you will need to check in at registration and show your photo I.D. every day to get tickets for each session and event. If it breaks, please bring it to registration for a replacement. Consider the weather when you start packing for the conference. On average, the temperature in Lexington in November is in the mid- to upper-50s during the day and in the mid- to upper-30s at night. While the majority of the conference is indoors, including the Horse Expo sessions and closing reception, exploring the Kentucky Horse Park will take you outdoors between museums, barns, etc. Want to find out what all this community conversation is about? Start by visiting the PATH Intl. Community Connections booth located next to the registration desk at the 2011 PATH International Conference. The booth will be staffed by members and friends of the PATH Intl. Community Building Work Group on Tuesday 8-10 a.m.; Wednesday 8 a.m.-12 p.m., 5-6:30 p.m., 7:45-9 p.m.; Thursday 8-8:45 a.m., 5:30-6:00 p.m.; and Friday 12:30-1 p.m., 4:40- 5:30 p.m. When you register, you will find that your name badge has two parts, one for your name tag and one that has a blank sheet of paper. To help you begin connecting to other members with similar interests, come by the PATH Intl. Community Connections booth for stickers and other decorations that will show off your communities of choice. Also at the Community Connections booth will be information about how to join the community groups of your choosing, and how to access the new PATH Intl. Communities Connections networking site. In addition to the booth, an exciting interactive community building experience will take place on Wednesday, 7:45-9 p.m. Don't miss this as it's a great opportunity to network and connect with other members with similar interests and to learn about PATH Intl. Community Connections. On Friday morning at the Committee Updates presentation, the communities work group chair will provide some additional information. We can't wait to see you all in Kentucky! Please share your thoughts by contacting a PATH Intl. staff member or one of the following work group members: Chair Tracy Weber, Laura Brinckerhoff, Jen Donahue, Karen Kersting, Kali Welch or Tanya Welsch. Lisa Wysocky, a PATH Intl. Certified Registered Instructor, was interviewed on October 5 by Horses in the Morning radio show ("the first live morning show with an equine theme") to talk about her new equestrian mystery The Opium Equation. Click here to listen. Lisa will be speaking at the conference on how to keep horses happy and productive in lessons. She will also be exhibiting at the conference, so be sure to look for her in Exhibit Hall. We haven't shared a progress report lately, but fear not, we have been very busy! Over the past few months we have been focused on wrapping up a number of projects. 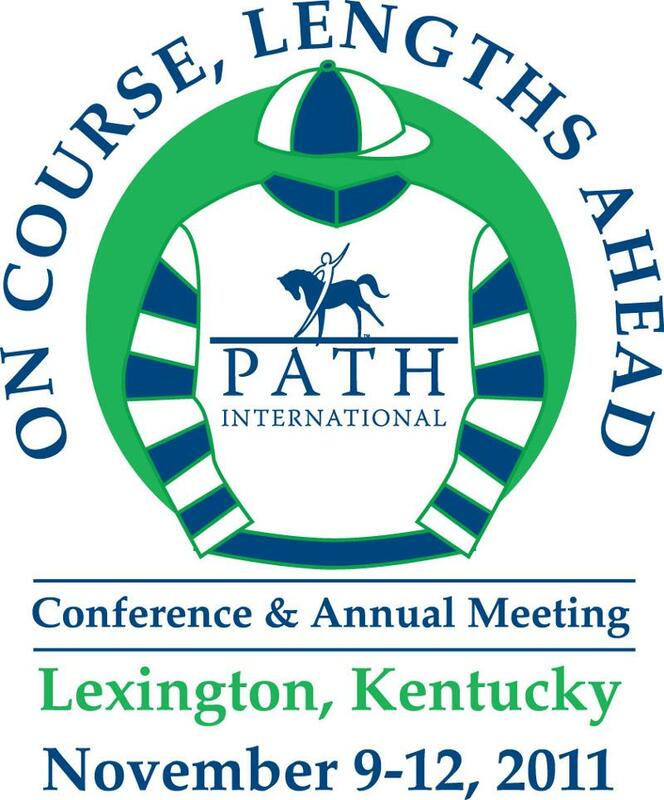 We are excited to announce that the new Equine-Facilitated Psychotherapy (EFP) Manual will be for sale by the 2011 PATH International Conference and Annual Meeting. This was a huge project, and thanks to Teresa Bennett-Pasquale, Shannon Knapp and the EFP and EFL Membership Task Force, it is a useful and practical manual that is a valuable resource for anyone interested in EFP. We have also been putting the finishing touches on the EFP and EFL preconference workshop to be presented on Tuesday, November 8, at the 2011 PATH International Conference and Annual Meeting. The presenters are excited about this event and feel it will provide people with a wealth of practical information and ideas about providing EFP and EFL services. We have also been working closely with the Certification Review and Development Task Force, helping to identify key criteria for all PATH Intl. certifications. We have been helping the Community Building Work Group launch PATH Intl. Community Connections, the new member program. Finally, the revised EFL definitions and Guidelines for Practice have been reviewed by the PATH Intl. Board of Trustees. In all, we have been very busy and we look forward to seeing and meeting all of you at this year's PATH International Conference and Annual Meeting. The following safety tips are intended to help you observe, educate and shape your choices in order to create a safe, calm loading session. These tips can, and should, be taken into consideration when learning trailering techniques, reintroducing a horse to the trailer and teaching a young horse to get in and out of a trailer. If you set goals for your trailering process in the same way you would for a riding, driving, interactive vaulting, EFP/EFL or any other program session, you will be setting yourself up for success. Start by taking complete responsibility for yourself, your horse and your equipment, including the trailer. Know your own limitations and level of experience. Ask your horse only what you know you can achieve. Wear a safety helmet/hat and gloves. Know how to choose and use appropriate equipment. Keep your horse's adrenaline down by breaking the session down into small steps with clear rewards. Study the equine's body language to learn where you place your eyes, how you stand; even your breathing can effect communication. Know what motivates your horse. Not all horses consider food a reward. Other rewards include release of pressure, being removed from the loading area or a rub in his favorite spot. Food in a bucket can be given once your horse is fully loaded. Food becomes a bribe when used to lure the horse into the trailer. This will not create leadership or partnership. Safe and calm only happen when your horse accepts what you ask. Refine your ability to read your horse's body language, especially at the threshold or entrance of the trailer. Watch to see if he looks, smells, touches and tests with both front feet. Know that your horse is confirmed in his knowledge when you can calmly move all four of his feet both in and out of the trailer and have repeated this several times in a row. In addition, you will need to schedule other sessions where you repeat this exercise several times with the trailer located in other places. Remember to create a benefit for you and your partner. The ESMHL Certified Instructor Option - Did You Know? An accommodation is an adjustment or an adaptation of a component or components of the Registered Instructor Certification Process in order to meet the special needs of the candidate. Requests for an accommodation to any part of the process must be made in writing and submitted to the PATH Intl. office with the initial application form or 60 days prior to OSWC. No special form is needed. All requests for accommodations will be reviewed by the PATH Intl. Riding Certification Subcommittee on an individual basis, and applicants will be notified of the committee's decision; this can take up to 60 days. For more information, please contact the PATH Intl. office. It is every candidate's responsibility to check with each individual host site for the refund policy when he or she signs up for a workshop and/or certification. Please be aware any certification candidate who tests at a certification after June 1, 2011, does need to demonstrate a proper posting diagonal for their riding pattern. This is a criteria in the certification booklet. 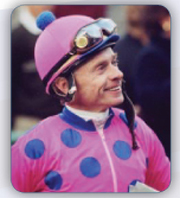 In the past, western riders did not need to show a proper posting diagonal, just a posting rhythm, but this policy has been changed. All riders, no matter the discipline, must show a proper posting diagonal. If you need assistance, please consider taking lessons from a qualified instructor to learn proper posting diagonals. 1) If a candidate does not pass any or all components of certification for PATH Intl. Registered Instructor Status and would like to appeal the results, a written request for appeal may be submitted to the PATH Intl. office within 15 business days of receipt of written notification from the office. The request must state the reasons for the appeal. Note: It may take up to 60 days to review your appeal; this time frame can not be guaranteed. 2) The Riding Certification Subcommittee will review the original application, examination and certification results. 3) If the Riding Certification Subcommittee affirms the failing score, the candidate may appeal in writing to the Certification Oversight Committee. The appeal to the Oversight Committee must be made in writing and submitted to the PATH Intl. office within 30 business days of receipt of written notification from the Riding Certification Subcommittee. 5) The Oversight Committee will review the original application materials, examination and certification results. Updated or new information will not be taken into consideration. 6) Decisions of the Certification Oversight Committee will be final. Once a candidate attends an onsite certification and receives his or her results it can take the office 30-45 days to mail out the official results letter and corresponding information after the completion of a certification. Please be patient and plan to wait at least 45 days before receiving your official results letter. We will not rush or email anyone's official letter. Candidates who need to resubmit a video should wait to receive the results letter and video requirements prior to taping their video. Video resubmissions can take up to 60 days to process. An IT letter is required for all certification candidates 30 days prior to attending a certification testing of their choice (does not apply if a member is just taking a workshop). If a certification candidate arrives on-site or signs up for a certification without an IT letter, it is up to each individual evaluator to review the submitted phase 1 and 2 paperwork and ensure the candidate has completed CPR, First Aid, both online exams and a horsemanship skills checklist. If all these items are present, the evaluator will determine on a case by case basis if the candidate will be allowed to test at certification. If the candidate does test without an IT letter, he or she will be assessed a $150 fine prior to the certification being final and the official results process by the PATH Intl. office. Each host site is also assessed a $75 fine that may be passed along to the candidate. Twenty-five hours of practice teaching must be completed, no exceptions. If you have not completed 25 hours of mounted, group instruction under a current certified instructor you can not test. Ultimately it is every candidate's responsibility to ensure all requirements for certification have been met by the appropriate deadlines and that his/her mentor for the 25 hours is a current instructor with PATH Intl.. Be sure to review all policies and procedures in our registered booklet, updated frequently on the PATH Intl. web site. If any candidate is found to have completed their 25 hours of mentoring under an expired or non-compliant instructor, the candidate will pay a $150 fee to the PATH Intl. office prior to the certification results being released and officially recorded. A certification candidate cannot act as an instructor until this fee is paid, and the hours performed under the expired or non-compliant mentor will need to be performed again and turned into the office within 90 days of notification from the PATH Intl. office. If the hours are not complete within 90 days you will begin your certification process from the beginning. PATH Intl. recommends confirming your mentor is current prior to performing your hours. PATH Intl. is excited to see so many individuals interested in the Equine Specialist in Mental Health and Learning workshops. We would like to accommodate individuals eager for certification by holding more Equine Specialist workshops and practical horsemanship skills tests, especially along the west coast. If you are thinking about your 2012 schedule, we would love to get your event on the calendar and begin advertising it. All workshops will now be offered with the new Equine Specialist practical horsemanship skills test, if the host site chooses. Host sites can also host the one day practical horsemanship skills test without a workshop if they wish, a requirement for certification. If you are interested in hosting at your Premier Accredited center in 2012, please download the intent to host booklet from the website, or for more information contact Abby Hendren at (800) 369-7433, ext. 104.